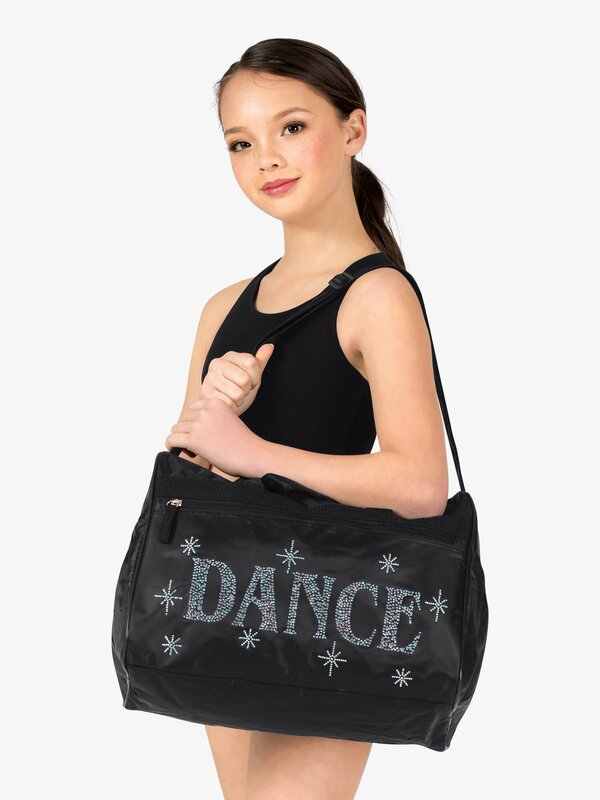 Rock some serious sparkle in this embellished tote bag. 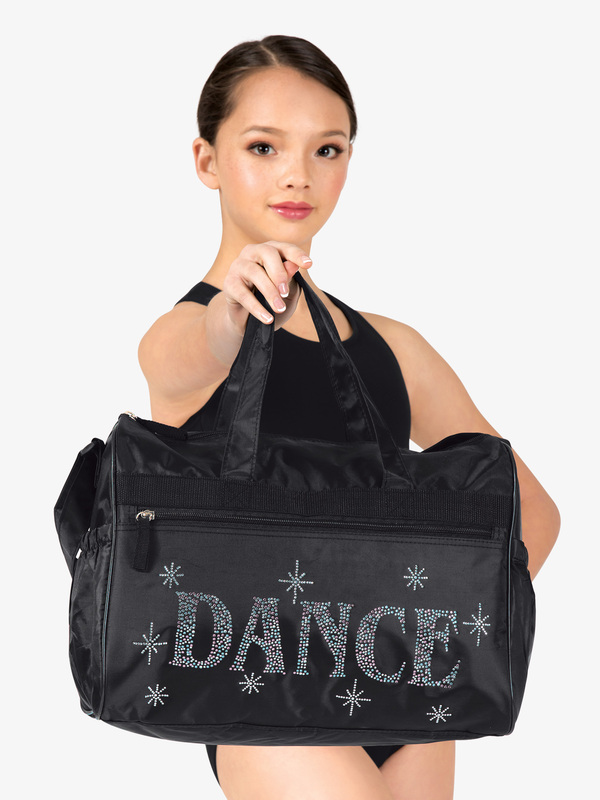 Tote bag features a tricolor "DANCE" front stone design, a large main compartment with 4 inner stretch pockets for accessory storage, a front zipper pocket, two outer side stretch pockets, a back zippered mesh shoe pocket, and includes an adjustable shoulder strap and water repellent inner lining. Size: 15" x 11" x 9".